Was worthy to bear the Lord Jesus Christ. Last week I wrote about the star in the Christmas story. Today I’m thinking about the animals around the baby Jesus. Donkey, camel, cow, sheep, dove. “O Magnum Mysterium,” says that the animals seeing Jesus in their manger was a sacrament! A sacrament is a sign of the presence of God, which is often hidden and spiritual. We say that sacraments are a means of grace. How do the animals fit into our theology, or our spiritual lives? Maybe they call us out of our heads, and into our hearts. Maybe they call us out of human society and into the community of creation? Or, do they draw our attention away from a distant light, shining from heaven, to the warmth and intimacy of earthy, furry, pawing, neighing relationships? Animals keep it pretty real. The sights and sounds – and smells – of animals are very different from the sterility of the star. Earthy hay, manure, dust, grunts contrasted with heavenly light. 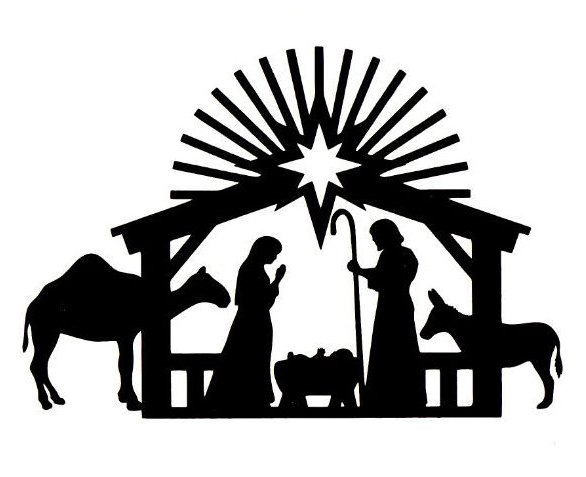 From the moment of his birth, we find Jesus living in two worlds: marked by a star in the night sky, and nestled in a barnyard manger. Fully God, fully human. This is the great mystery (magnum mysterium). Just like Jesus we live in two worlds. Learning to be fully spiritual people and fully flesh and blood at the same time is the challenge and promise Jesus sets before us. Hark, the Angels and the Friendly Beasts. I’m going to try to honor both this season: to make time for prayer and music that makes my spirits soar. And to decorate our home and cook great food to delight the senses! And I’m going to receive Mollie-the-dog’s grace-filled nuzzle with a reciprocal belly rub. God breaks in from beyond, and sidles up alongside and as common kindness. It is ours to sing glory to God in heaven, and to make peace on earth.